Many companies operate under a false set of assumptions about agent retention and the impact on service quality. Customer expectations are continuously rising, in part because a few leading companies are delivering stellar service via a range of channels. As a result, consumers want this level of service at all times. At the same time, Customer Care Measurement & Consulting’s (CCMC) 2015 National Rage Study showed that service is no better now than when originally measured by the White House Office of Consumer Affairs in the 1970s. In fact, the Rage Study, using the same methodology as the White House study, found that problem levels are higher. One would think that service delivery issues first highlighted in the 1970s would have been addressed by now. While the most prevalent problems mentioned in the Rage Study have evolved over time from automobiles to technology (such as Internet service and cell phones), one aspect of customer behavior is constant. When customers face serious issues, they go to the phone. Consumers are seven times more likely to pick up the phone to talk to a real person than to deal with the problem online. Likewise, Accenture found that 83% of consumers want to deal with a person—and that person needs to be able to deliver based on their experience, skills, tools and motivation. This formula can only be successfully delivered with a stable, motivated, expert agent workforce. The challenge facing most companies is retaining this expert workforce. The primary reason is that many companies are operating under a false set of assumptions about agent retention and the broader strategy of investing in superior service. There are three sets of executives who hold these incorrect assumptions (described below): contact center operations, finance and marketing. The four key myths held by contact center executives relate to the causes of customer and agent dissatisfaction and their cost—and most executives just get it wrong. One of the biggest mistakes companies make is assuming that agent attitude and misbehavior lead to most customer dissatisfaction. In fact, most problems stem from incorrect expectations that the company set or the customer brought to the transaction. Another big cause is broken processes within the company. Neither of these causes is the fault of the agent, but the burden is on the agent to both fix the issue and explain how the problem occurred without blaming anyone. This is a tall order. CCMC’s research generally finds that less than 10% of problems are caused by the agent. Another 20% to 30% are caused by customer error. The vast majority of problems are due to company-caused incorrect customer expectations and broken processes. Actually, customers expect much more. They also want a genuine apology. In addition, customers want an explanation as to how the problem occurred and assurance that it will not happen again. Unfortunately, most frontline staff are not equipped to deliver on these last two expectations. Frontline staff usually do not know why the problem occurred and do not feel confident in assuring it will not happen again. A good fall-back position is for the rep to say that the issue will be reported to an effective improvement process which will identify the cause and improve the process. However, such a frontline feedback process must exist, and less than 10% of companies actually have an effective input mechanism. In a majority of companies, supervisors are neither trained nor incentivized to support all three of these desires. Replacement of agents is often only 10% to 20% of the cost of agent turnover. The primary damage to the bottom line comes from damage to loyalty and word of mouth (WOM) from agents who burn out, but do not leave, and from good agents who do not have effective tools and support. As you will see in the next section, the cost can easily be $30,000 out of pocket and another $150,000 in revenue at risk. The myths that finance and marketing department executives bring to the table are dangerous because they often control the customer service budget. Finance is looking to cut costs—so outsourcing often seems harmless, while marketing believes that brilliant ads will get new customers to replace those lost due to attrition, without seriously considering the cause of attrition. Below are the two usual assumptions. In fact, great service usually costs less because it prevents problems. Anticipating service requests (such as Amazon telling you when your shipment will arrive) costs only one-third as much as reactively answering this same question. Additionally, great service costs less because resolution on first contact is 60% less expensive than two contacts and 90% cheaper than three contacts. The most successful companies obtain the majority of their new customers via WOM referrals while losing few to the competition. Companies like Chick-fil-A, Harley-Davidson and USAA obtain well above 70% of all new customers via WOM and yet spend significantly less than their competitors on marketing. Further, great service allows a company to command a higher margin. When a customer encounters one service problem it can double their sensitivity to price, and two service problems could double it again. As noted earlier, most contact center executives incorrectly look at the cost of replacing an agent as the big cost of agent disengagement. While replacement cost is a significant cost, it often is not the most damaging to the bottom line. The two largest bottom-line impacts are the damage caused by a disengaged, burned-out agent and by an unsupported agent. Each of these costs is outlined below. Recruitment. In a tight market, recruiter and interview costs could easily be six weeks of an agent’s salary. Training. For most jobs, this will be three to six weeks. Nesting. The newly trained agent will require intense coaching and will perform at low productivity for, on average, another three months. While situations vary, the average cost of each replacement based on the above assumptions will be five to six months of loaded salary, or $25,000 to $30,000. While this seems like a lot, it actually is the smallest part of the cost of attrition. The big money stems from damage caused by agents who are burned out and disengaged. While the burned-out agent will adequately execute the basics (providing the right answer and following through on expected commitments), this agent will often refrain from engaging with the customer, humanizing the transaction, or going above and beyond to create delight. As shown in Table 1 , if the agent is handling 50 customers a day and is disengaged for 30% of those transactions with an opportunity to give added value, the opportunity cost and damage to a brand can be 15 customers a day. At an average customer value of $100, this means the company is placing $1,500 of revenue at risk per day—or more than $90,000 over the three months that it usually takes to identify and remove a burned-out agent. At a minimum, 20% of these customers will go elsewhere so the minimum loss is $300 per day, even more than what you are paying the agent. Zappos has the right idea. At the end of the training period, the company offers to give an exit payment of $2,000 to any agent who does not want to work at the required level of enthusiasm. Agents who are not up to the challenge take the money and leave the position. By implementing this strategy, Zappos avoids damaging customer relationships and the bottom line because customers never encounter the disengaged agent. Damage from unsupported agents is more insidious and a less understood issue than the damage from agent burnout. Agents who are not supported with the right tools and incentives often are unsuccessful since they cannot provide the correct answer to a question. They lack systems to effectively follow through, and they lack the time and skills necessary to give value-add to the customer to boost engagement and delight. These agents can work very hard to the best of their ability but can still cause serious damage to revenue due to lack of tools and resources. Further, they can become frustrated and either burn out or leave—adding costs from the other two types of damage. The financial implications of this situation are shown in Table 2 . If the knowledge base and follow-through processes are defective, it is possible that 10% of customers are left dissatisfied. 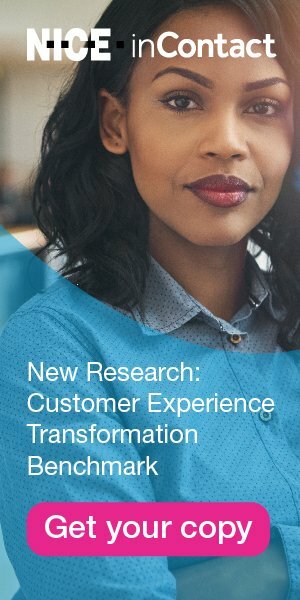 Further, because the agents are working with substandard tools and not receiving effective positive coaching from supervisors, they will fail at least half of the time to capitalize on engagement and opportunities to delight the customer, resulting in another 10% of customers not being fully satisfied. For an agent handling 50 customers a day, this means that 10 customers are left at risk, or $1,000 per day and $60,000 over a three-month period. Again, at least 20% of those customers who are at risk will act on their dissatisfaction and buy elsewhere next time. Most other dissatisfied customers will, at a minimum, be more sensitive to price. In Part 2, we’ll tackle what really causes agents to become disengaged, and what businesses can do to break the disengagement cycle for better ROI. John Goodman is Vice Chairman of Customer Care Measurement & Consulting. He is the author of “Customer Experience 3.0” and “Strategic Customer Service,” which is available in Japanese and Spanish.